Enter your email and be the FIRST to know when we launch on KICKSTARTER! * Be the first to know when we launch and take advantage of the Early Bird Pricing! If you carry your laptop around, chances are, you carry along a good amount of accessories. The problem we all face however is finding a convenient way to carry these accessories from one room to another without juggling everything or having to use a bag (only to unpack it moments later). We couldn't believe that there wasn't a good solution out there already, so we decided to solve this problem ourselves. 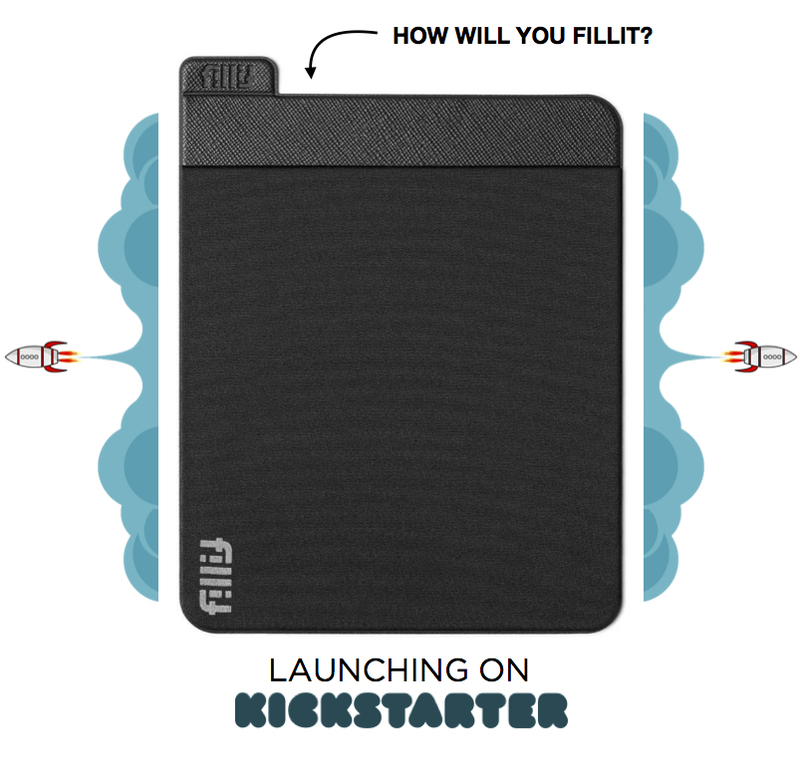 The Fillit Pocket was born! So simple, yet so convenient! 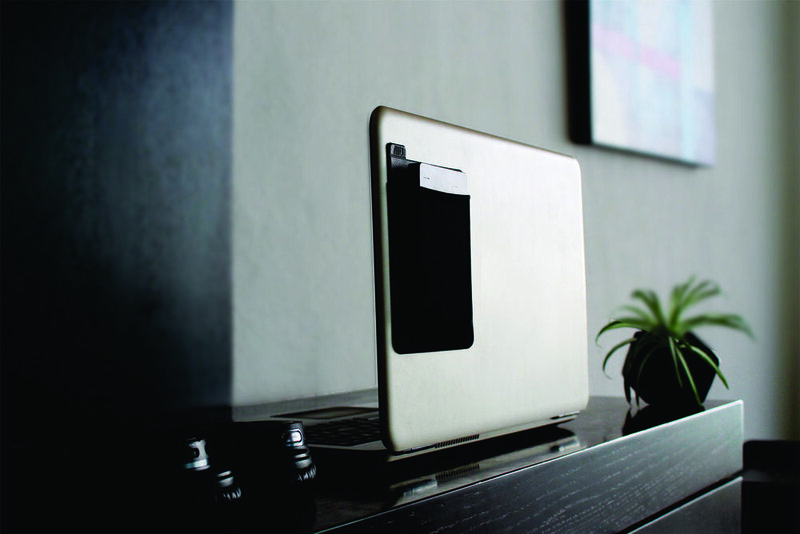 All you have to do is attach the adhesive back of the Fillit pocket to either your laptop, tablet, or just about any flat, dust-free, lint-free, smooth surface. The hard question is, where will you stick it? Be creative! There are limitless possible uses for FILLIT Pocket. It's a SPARE POCKET, you can literally use it for anything.